For more than a decade Carnegie Corporation has been at the forefront of efforts to catalyze engagement with the electoral process; to promote access to the voting booth for all who have a right to it; to remove the impediments to voting and civic participation that disproportionately affect minority groups, immigrants, the poor, the elderly, the disabled and all others who have been unjustly disenfranchised; as well as to improve the voting process itself. 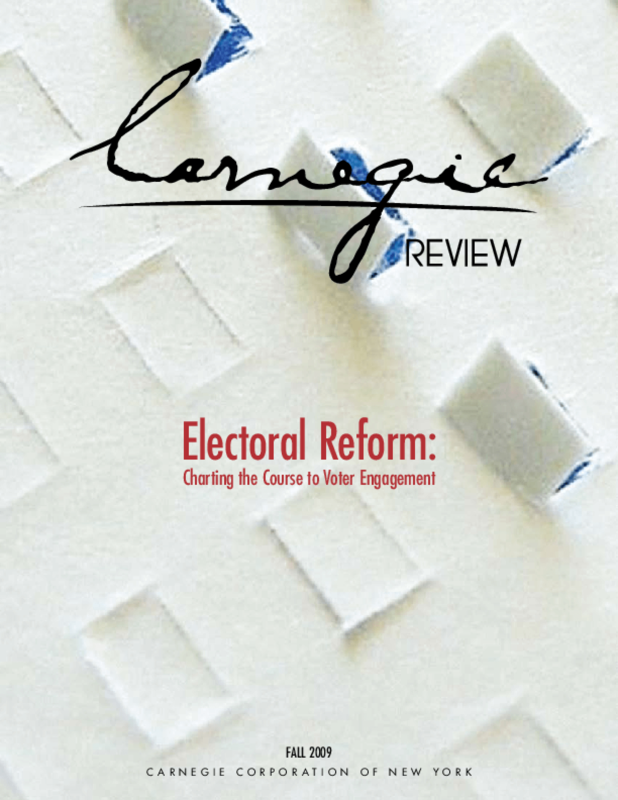 This work has been carried out by Corporation grantees across the country through research, education, get-out-the-vote campaigns, as well as by promoting advances in technology and disseminating knowledge and information aimed at combating the corrosive cynicism that has too often diminished Americans' trust in our electoral process. Today, that work continues to go on because it must.